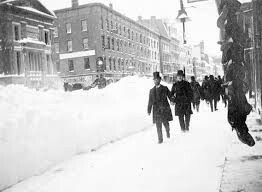 On March of 1888 New York was hit by a disastrous blizzard in history. 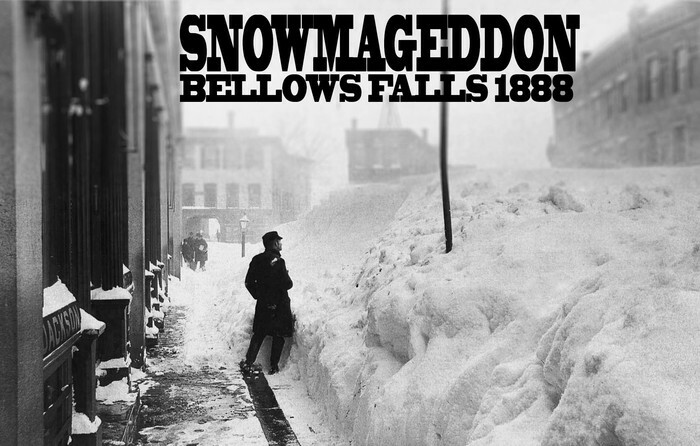 New York was buried underneath a fifty-inch cloak of snow. Huge "modern" cities were cut off from the rest of the world. For the first time in story the New York Stock Exchange was closed and would remain closed for two days. Thousands of men in odd costumes would walk the streets and shovel the sidewalks and streets. There was no electricity. 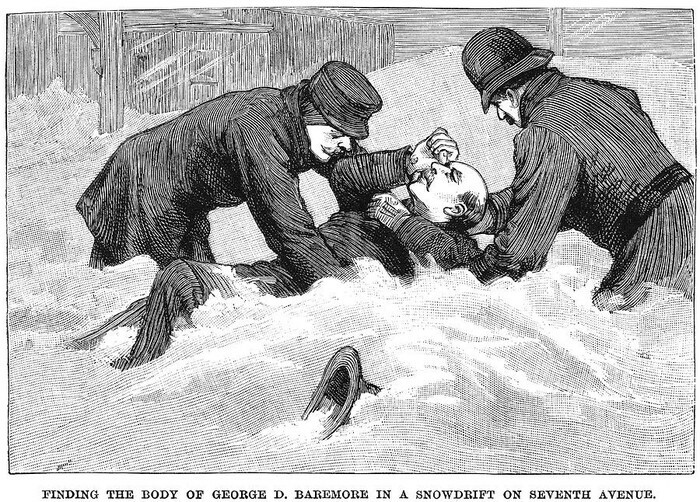 People wondered the streets barely clothed and frozen.